Uncompromising performance and reliability are a must for defense and aerospace systems. That is why laminated bus bars designed by MERSEN are commonplace in a wide range of defense applications, including missile guidance equipment, phasearray radar systems, sonar and radar tracking stations, airborne equipment, tanks, submarines, and numerous space programs. MERSEN’s laminated bus bars offer other advantages for defense use, too. Their superior electrical characteristics help defense systems achieve maximum electrical performance and efficiency. Laminated bus bars are also known to provide the most compact means of packaging, achieving the highest overall system performance where physical space is a premium. Since bus bars can be engineered to double as a structural support member, they contribute to system strength and rigidity at the same time. If that’s not enough, MERSEN’s laminated bus bars simplify field service too, which makes it easier to keep mission critical equipment up and running. MERSEN is pleased to announce that our Rochester, NY plant is ITAR compliant. 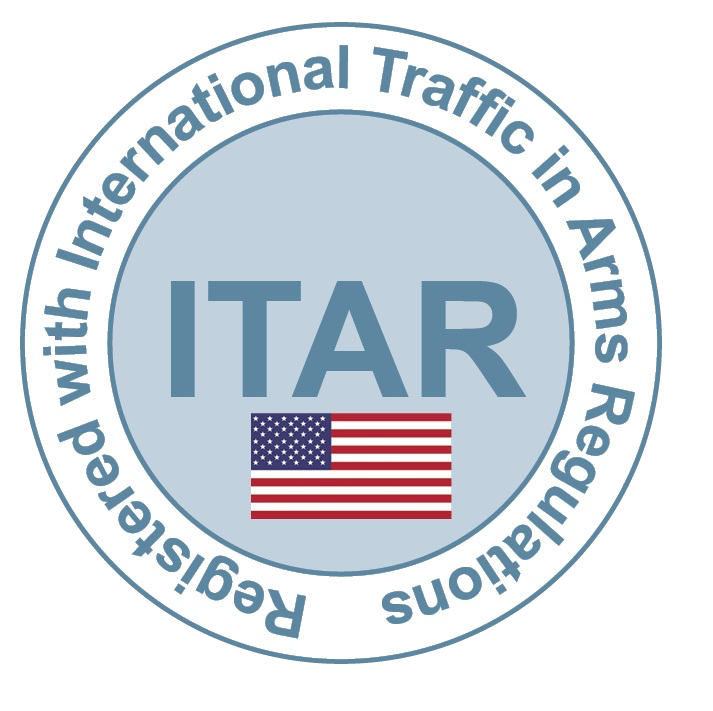 The US Government requires that all companies who are involved in the manufacture of goods for the military be ITAR (International Traffic in Arms Regulations) compliant. Compliance means that a company has registered with the Directorate of Defense Trade Controls (DDTC) and follows the regulations. Dense packaging is a hallmark of laminated bus bars as shown in this 20-layer edge filled design with Kapton insulation to withstand high temperatures from soldering. Made for a special military application, the design distributes power through wide tabs inserted and soldered into a backplane. Power inputs are located at one end for easy connection with a cable assembly. Used in tandem, one as a high-temp, high-current board for switching components and the other is densely populated with chip capacitors. The use of Kapton insulation allows full solderability for surface mount components. Both bus bars are epoxy edge filled and designed to withstand extremely demanding conditions of temperature and altitude. This complex, nine layer, low inductance laminated bus bar is engineered to perform at very high altitudes in a confined area. It interconnects custom power modules through brazed bushings and PEM hardware. The high temperature insulation is entirely epoxy edge filled around each individual layer. High current power distribution is easily handled with this sixlayer, twenty one conductor laminated bus bar. Designed to function as a high-current backplane, a bank of special connectors are soldered directly to the bus bar, and used to distribute power within a turret control system. A complex and unique laminated bus bar design provides high power distribution over a backplane with solder tabs for output connectors and gold plated input connections. This military application for a laminated bus bar provides power within the Patriot Missile Guidance system. The pluggable input connections on this laminated bus bar are gold plated to provide low resistance and high reliability between the bus bar and its subsystem. Forty pairs of outputs from the bus bar to the backplane are made by solder connections. The bus bar is entirely encapsulated using epoxy edge fill to provide a complete hermetic seal. Distributing three AC and six DC voltages and currents over a long distance presents challenges in assembly time, wiring errors, and efficient use of space. This 10-layer laminated and epoxy edge filled bus bar system delivers power and reliability over a long distance in a tight package. Using special joiner bus bars, the system can be “daisy chained” to distance exceeding twenty feet in length.